Let the curious and fun design of the Marc Jacobs™ The Tag Tote 27 be your go to bag for any casual outing. Shopper made of genuine, pebbled 100% leather. Spacious top open construction with magnetic snap closure. Engraved key charm with black and white leather branded bag tag. Spacious contrast colored interior features back-wall zip storage pocket. 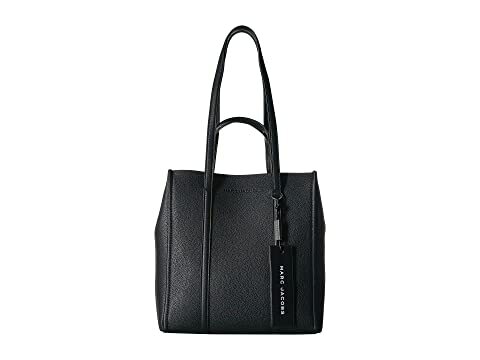 We can't currently find any similar items for the The Tag Tote 27 by Marc Jacobs. Sorry! To be honest I don’t like the giant black tag but I love the bag!